The financial information in this article is general only and the figures are made up. before making financial decisions you should seek the advice of a qualified professional. Ok the title is a bit click bait. You might be able to own an exotic car for free but at the least this article will explain how you can accomplish your dreams of owning exotic cars without costing you a lot of money. How is this possible? It’s called exotic car hacking but in a nutshell it means crunching the numbers and buying cars that you won’t lose money on and if you picked the right car you can even make money! Most people assume owning an exotic car is only something the super rich can do and that you will lose thousands of dollars by owning one but I will explain how this doesn’t have to be the case. Imagine if you bought a brand new Ferrari for 500k. You drive this car for a few years and then sell it for 300k or 400k. Then you would have lost thousands of dollars in depreciation, while also paying the usual fees like maintenance, insurance and fuel. So I wouldn’t recommend you bought a brand new Ferrari. Here’s what you do instead. 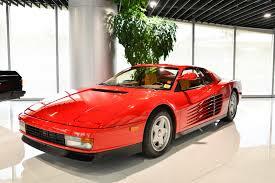 You pick a Ferrari that is at the bottom of its depreciation curve, like a Ferrari 355, 360 or 430. This models have already lost most of their value and models like the 355 are going up in value! Cars depreciate the most in the first 5 years. You could buy a 355 for $150k (Australian prices) and hold on to it for a few years, drive it around and pay the usual insurance, maintenance, fuel etc. and then sell it for a potential profit! So let’s say your total cost of ownership is 5-10k a year. And you’ve had the car for 2 years. That means you’ve owned a Ferrari 355 for 10-20k! Of course the fees might not be exactly that, there is sales tax and different fees for different countries but you get the idea! Most people will buy a brand new Toyota or something and lose money on depreciation equal to that! Do you understand how this could work? It’s not just exotic cars either. Many cars hold their value and go up in value. When I was 17 a Nissan Skyline R34 GTR was selling for 40k, now over 10 years later they are selling for 100k. Iconic cars like the Honda S2000, Toyota Supra, Nissan Skyline, Mazda Rx7, Ferrari Testarossa, Aston Martins from 007, Lamborghini Countach as well as many other cars are going up in value! You could own these cars and if you sell them for a profit you will either own the car for free or make money! With electric cars taking over a lot of these classic cars are starting to go up in value. A lot of these cars go up in value more than other investments like the stock market and real estate! You need to do your research and find out which car is likely to go up in value. Some things that might make a car go up in value are if it’s in a popular movie, if its old, if it’s the last of something for example the last of the air cooled Porsches, if it’s a manual version and there aren’t many manual versions, if it’s a rare model and a few other things. But what if you want a new car? Well there are smart ways to purchase this. Going back to our above example, if you paid cash for the 500k Ferrari you would lose all that money in depreciation. But let’s say you could get very cheap finance of say 2%. You could put down the down payment and then make the small repayments. Then the rest of your money that you didn’t spend you could potential invest it and get an 8% return and when it’s time to sell the car you still made money in your investment to offset the loss of the car! This only works if you can get a low rate loan though. Check out the video of Byan Casella explaining how his does this below. One more point about car hacking. Whatever you spend on the car that you pay cash for there is an opportunity cost. Let’s say you withdrew 100k out of home loan surplus to do this, then you will need to pay your mortgage rate of say 5% on that 100k because your amount owning has now gone up by 100k. So your cost of owning the car is insurance, tax, maintenance, fuel and 5k of interest. But what if you own your home outright or you’re renting and you had 100k to spend. Well the opportunity cost is you not putting that into an investment instead where you could have earned a 5% return in dividends or rent if that makes sense. Well there you have it guys, how to own some awesome cars without spending much money and maybe make money doing it. We all have our dream cars growing up and we can own them and not have to be super rich or lose money! As for how to save up 100k, just check out all the other money articles on my site to get good with money! Thanks for reading guys, let me know of any cars you think will go up in value in the comments. Here’s some videos that explain exotic car hacking.